Clear intuition is elegant, efficient, effortless, and effective. 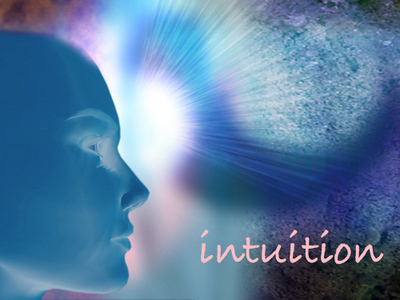 Intuition illuminates and electrifies you from within; your personal passion, purpose, and power are awakened. If you are lacking in these latter experiences, wait. Don’t act on the information. The guidance you are receiving may be wishful thinking or projections from the past. Intuition always serves the good of the whole, yourself and others. All energy comes from the infinite universe. There are 7 levels through which energy passes from infinity to mankind. The Spiral of Creation shows the course of physical and material manifestation. All chi comes from infinity and passes through various stages of physicalization. Infinity changes into positive and negative, yang and yin, which continue in an inward spiral movement toward material manifestation. From infinity, chi continuously transforms from the world of vibration, to the states of pre-atomic particles, elements, the vegetable kingdom and the animal kingdom, of which human beings are the last creation. From humankind, energy moves back outward on an expanding course, returning to one infinity. Intuition comes from infinity. It functions when resistance in the individual is absent. Remove rigidity, which is a product of lifestyle, and naturally the openness necessary for intuition to flow is there. Your investigation into your physical and psychological inflexibilities will naturally bring about the receptive state necessary for intuition to function. The first exercise is designed to build a bridge from your everyday, normal awareness to your intuitive, introspective mind. For this exercise, it is best not to read ahead, but to complete each step before moving on to the next. Step 1: Clarify a particular question, situation, or decision you need more information about. Write it down. Step 2: Give yourself a few moments to sit quietly, undisturbed while you reflect on your question. Step 3: Walk around your home or office and pick up three objects (large or small) that grab your attention. Lay the objects out in a row, starting with the object that feels the most significant. Step 4: Take a moment to breathe deeply, reminding yourself as you breathe that there is wisdom in your toes. With the next breath, remind yourself that there is wisdom in your legs, wisdom in your belly, and so on until you have gone through your whole body. Step 5: Look at the first object and let this object symbolize the overview of your question or situation. This object is familiar; you know how and why it is used. How does this knowledge apply symbolically to your situation? Now pretend this object is something you’ve never seen before. Look at its shape, color, size, and texture. What could it be used for? How does this relate symbolically to your question? Be sure to record all of your impressions. Step 6: Take a few more deep breaths, reminding yourself again that all parts of you have wisdom, and look at the second object. Let this thing represent what may block you, what fear or resistance may emerge as you begin to follow your intuition. Let the intuitive information emerge from within you as you look at the object, asking the question, “What can you tell me about my fear and resistance?” Intuitive information floats to the top of your consciousness from deep within you. Write down all of your impressions. Step 7: Breathe again, tapping into the wisdom within and look at the third object. This item will represent the possible action you could take. Let the object communicate to you symbolically. Imagine yourself as this object. How would you like to move? What is the most appropriate action to take? Intuition is a gift that every human being is born with. “It is the ability to acquire knowledge without the use of reason. The word ‘intuition’ comes from the Latin word ‘intueri’, which is often roughly translated as meaning ‘to look inside’’. Whether or not we decide to exercise its function and make it stronger, like we do with our muscles, is up to us. Intuition ‘works’ when we put our 5 senses aside. Then it is able to become activated, providing a guiding force that is completely natural. 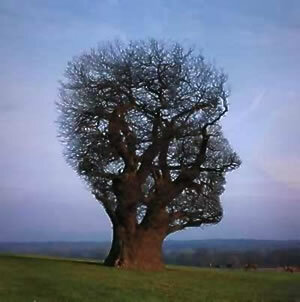 Intuition is our 6th sense, but is often stifled by our culture’s over dependence on the 5 senses of the material world. When we tap into our intuition, decisions that seemed difficult to make suddenly gain more clarity. One way to help aid your true intuitive sense to emerge is to disengage your conscious mind to allow access to the subconscious, thereby freeing you from the worries and concerns of his/her everyday life. Techniques such as meditation, yoga and receiving or giving bodywork are very helpful methods to achieve this state. Another helpful way of tapping into our guiding force is to keep a ‘synchronicity log’ for 2-4 weeks. At the beginning of each day, think of a problem or issue you want some clarity on and write it down. During the first week, pay attention to what ‘coincidental’ occurrences happen that have to deal with your issue. Write down daily what does or doesn’t happen and at the end of the week reflect of what occurred. For the 2nd week, repeat the intention with the same or different issue, but during each day, pay attention to written signs that seem to repeat themselves (i.e. your intention is support to be able to loose weight. You go walking downtown and see a sign in a store advertising ‘thin’s paints’, as you go into the store, you see a flyer for a weight loss support group). You can repeat this exercise for weeks 3 and 4 as well. Use synchronicity and intuition to your advantage. Reflect on your issue each day and wait and see if you get any impressions of what people you should talk to and places to go through. You know you are acting on intuition when you have the sensation of being illuminated and electrified from within; your personal passion, purpose, and power are also awakened. If you are lacking in these latter experiences, wait. Don’t act on the information. The guidance you are receiving may be wishful thinking or projections from the past. Intuition always serves the good of the whole, yourself and others. Quoted material taken from Wikipedia definition of intuition. 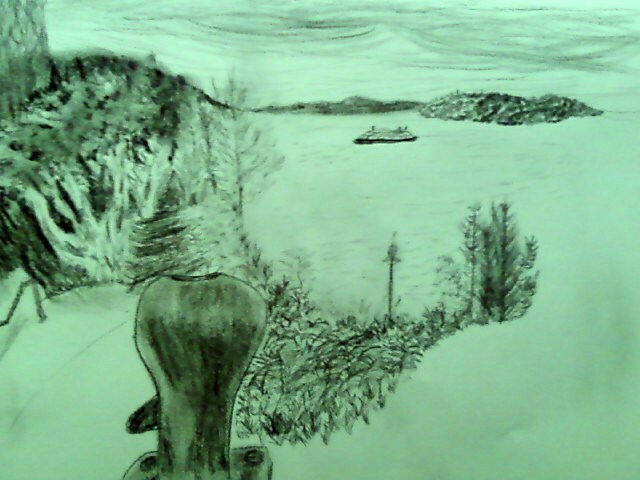 My intention was to draw Elliot Bay at dusk. The park was empty and quiet. And then five chatty women suddenly showed up and stood right in front of my view. They talked in a hyper manner, their conversation seeming to go nowhere. I was dedicated to sketching the scene, but I didn’t want to be rude and ask “Could you please move”, because in the past, I’ve found that, usually people move a few minutes later. This time, the women’s group seemed planted for the forseeable future. So, my intuition said, just focus on what’s in front of you, not the women, but the old iron pier tie directly in front of me. It wasn’t part of my plan, but neither were the women. So, I focused my attention on the bulbous relic. The chatty group kept at it, and I kept drawing line after line, in a way, attempting to almost meld myself into that dark and large obnoxious structure. I began to loose track of time and even hearing their conversation. Just as I was finishing drawing the pier tie, they left, virtually oblivious to the artist two feet away from them. As I went back to adding lines of the surrounding hills and trees, I had the insight, with all that focus, that like life, when things don’t go as planned, you can still make something out of the moment. I look at the drawing and feel happy about it, and somehow it makes me smile to know that conversation the group was having that didn’t seem to go anywhere, ended up being solidified into a form that didn’t obstruct the view. Alex on Reiki circle week!